Qube Asia now sells phablets with its latest offering, the Qube QuadCore PhoneTab, which features an 8-inch touchscreen display with a quad core processor, and 3G connectivity together with phone functions for an irresistible price tag of Php6,990 only. Qube’s on local market for mini desktops, All-in-One PCs, Smart TVs, CCTVs, GPS, and even other computer peripherals and accessories like video cards and HDDs. Entering the mobile gadgets’ space will just likely to exhibit its competitiveness, specially on how aggressive it enters the local scene with such great specs and price combo altogether. 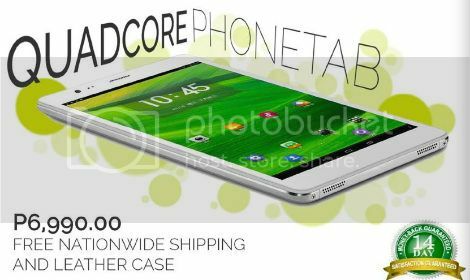 The Quad Core Phone Tab’s design falls very close to an iPad Mini, with an aluminum built and dual speakers on the bottom, plus the thin white bezel that can easily be seen as its resemblance. 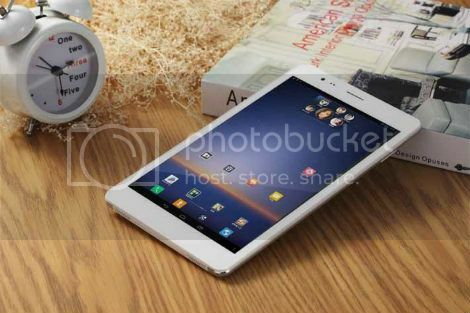 However, this Qube PhoneTab runs Android 4.2.2 JB, with 1GB of memory, and 8GB of built-in storage. Dual camera’s found at the back with 5MP and front-facing with 2MP. Qube QuadCore PhoneTab comes with a free leather case and has a free nationwide delivery, plus a 14-day risk-free money back guarantee. Or you can simply visit their stores in Gilmore IT Center, Fishermall, Cherry-Conressional, Alabang or Binondo in Manila area, or on its provincial branches at SM Baguio, SM Cebu or SM Davao City. Though, they’ve just noted on their FB post that its next scheduled availability will be on March 28, 2014. So, better make a reservation if you don’t want to be pushed over the next shipping date again. Globe Tattoo Super-Unli for Only P150 for 5 Days!